Feel confident with your smile again. No more hiding behind a hand. Here at Rathmines Dental Practice, we use a Carbamide Peroxide based whitening system. 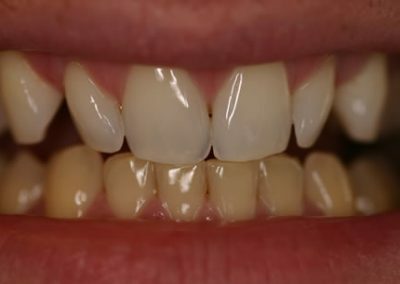 This system is an effective and safe method of whitening discoloured teeth whilst protecting them at the same time against cavities and gum disease. It usually has a rapid and spectacular result but there is no guarantee of any spectacular results and the effect depends entirely on using it diligently at home. 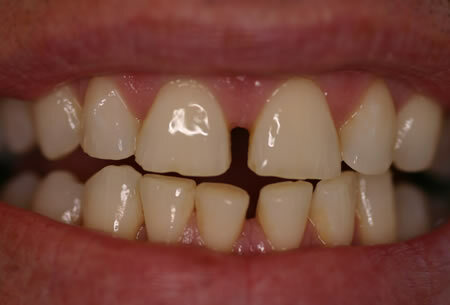 The system is used with a custom made close fitting mouthtray made for you here at the Rathmines Dental Practice. 1) Brush teeth thoroughly for three full minutes with a sensitive toothpaste. 2) Rinse out thoroughly with water. 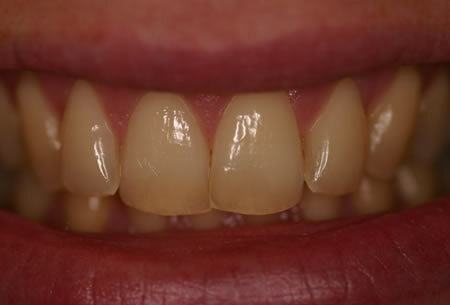 3) Place a very thin layer of the gel in the mouth tray. 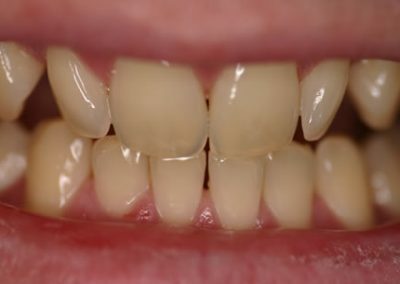 Place mouth tray snugly over your teeth and wipe away any spillover of excess gel with a tissue, ideally with practice there should be no spillover. The gel is absorbed into the tooth and whitens it right up to the tip of the root, so if an area of tooth is not covered by gel don’t worry it will not leave a dark patch. 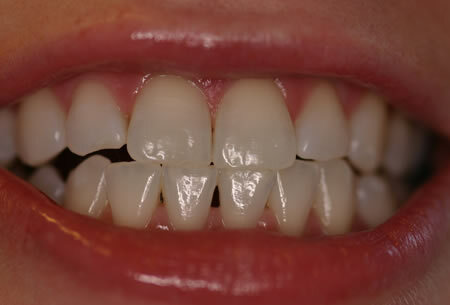 4) Leave the mouth tray in position for 8 hours, it is recommended to leave it in place overnight. 5) Remove and wash out mouth tray. Do not use very hot water as this would damage the mouth tray. 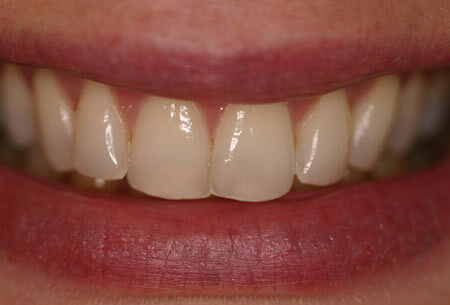 There are very few potential problems with this whitening treatment but the most common is tooth sensitivity. The gel contains Fluoride and Potassium to minimise this but if your teeth do become sensitive a desensitising toothpaste such as Sensodyne will help as will cutting down the frequency of use of the gel. Cut down to two hours every day. If sensitivity becomes severe stop using the gel. In very rare cases the gel can irritate the gums, if this happens stop using the gel. 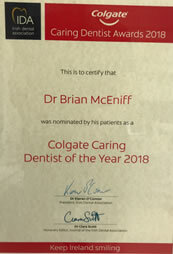 Please contact the practice if you are worried about any problems. 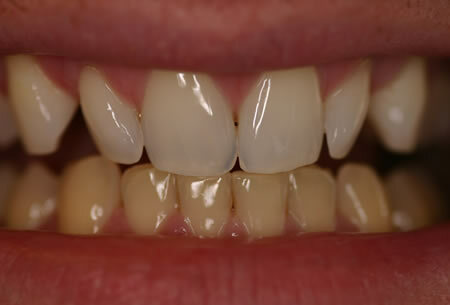 The whitening results correlate directly with the amount of contact time between the teeth and the gel. Normally teeth whiten in about two weeks however severe discoloration will take longer to react and may need a second dose of gel. 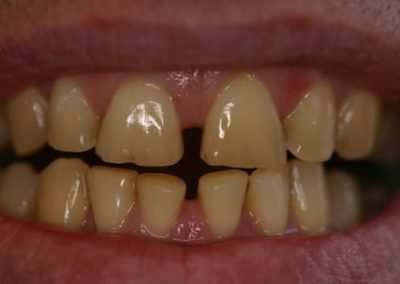 Most peoples’ teeth tend to darken slightly in the future (from 6 months to years) and repeated doses of gel are available if required – keep your mouth trays! 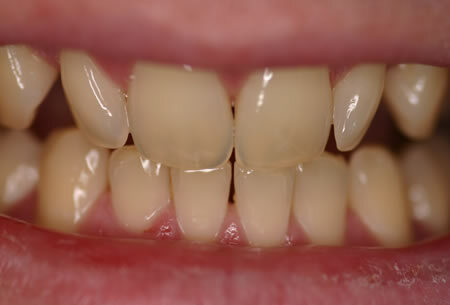 The gel is absorbed into the tooth and the tooth is whitened all the way to the tip of the root. If you notice any area of a tooth not covered by the gel (e.g a bubble or at the gum edge) it does not matter – you will not be left with a dark spot. 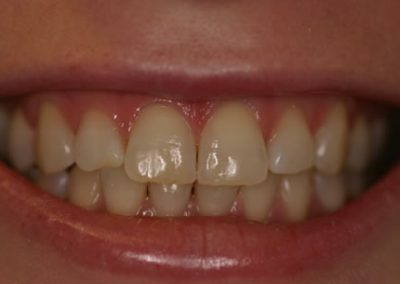 A useful way to gauge the effect is to take a ‘before’ photograph of your teeth before you start any whitening and using the same camera and same film in the same light conditions take an ‘after’ photograph about a month later and compare the two. 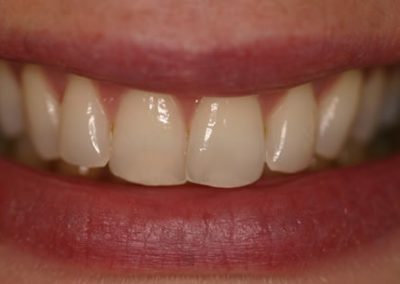 Before and after photos are normally taken at Rathmines Dental Surgery.